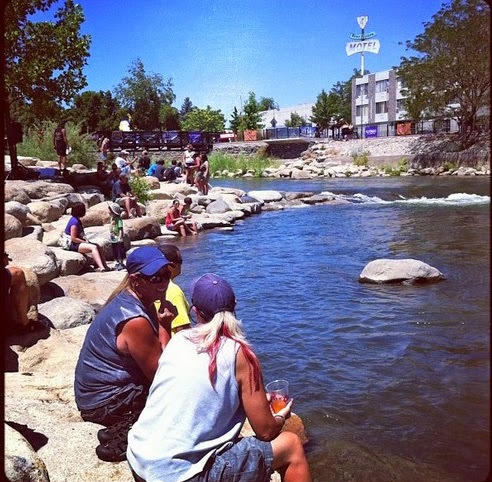 When the two-day Reno River Festival happens this May 9-10, 2013, there won't be any kayaking competition. The decision to cut kayaking came shortly after officials cut flows into the Truckee River from Boca Reservoir. The current flow is around 160 cubic feet per minute. Last year at this time the flow was about 500 cubic feet per minute through Reno. The loss of kayaking will actually make room for new events like "river golf", "Frisbee" and volleyball. Cabela's will still be offering kayaking tips along with their fly-fishing lessons. Other festival features include Yoga, craft beer village, music, and Stand UP Paddling.